The trend of HCC cheeses finding their way to exceptional eateries continues in downtown Hillsborough with La Place Louisiana Cookery. La Place features Cajun cuisine with a North Carolina twist, and uses a variety of local ingredients. How’d we all get so lucky to have so much great food around?! La Place serves lunch and dinner Monday through Friday, brunch on Saturday and Sunday, as well as Saturday dinner. We’ve already enjoyed a few meals there, and the food is beyond marvelous! We hope to see you there! 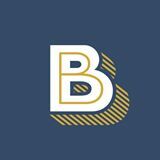 HCC is super excited to be partnered with a fantastic new sandwich shop in Hillsborough, NC – Bona Fide Sandwich Co. Hillsborough has been blessed to have so many wonderful food producers and restaurants over the years, and we (with so many others!) can’t wait to make it a part of our regular lunch rounds. Everything on the menu sounds amazing! If you haven’t been thorough Hillsborough lately, here’s another great reason to check out all the changes. Why not make it a day on Saturday – come visit us at the Eno River Farmer’s Market in the morning, take a stroll by the Eno, then grab lunch across the street at Bona Fide! We look forward to bumping into you there! That’s right! Our Carolina Blue is back and better than ever! Over the past several months, we’ve tried many variations, and subsequently brought a few of those to market. A big thank you to everyone who’s waited patiently, and most especially to everyone who’s tasted and given feedback on how to make our blue better. We have finally hit the consistency we’re looking for (in taste, texture and appearance) and are proud to bring a bit to market this weekend. 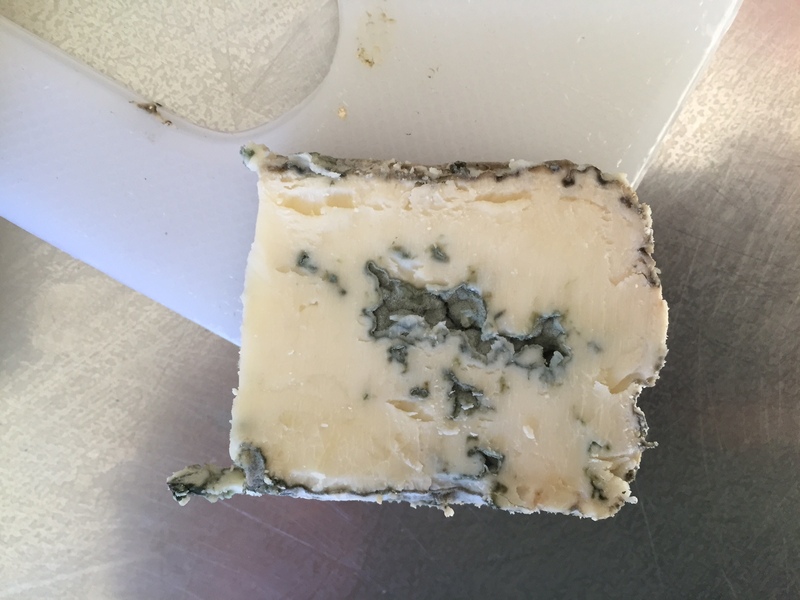 We plan on our blue being a regular at markets, particularly during the busier summer months (Assuming we can make enough to keep up with demand! It’s that good!) Please come by for a taste and let us know what you think! We look forward to sharing it with you! New at market: Shredded Mozzarella! Happy Holidays from Hillsborough Cheese Company! It’s about time to curl up in front of the fire and enjoy some delicious …cheese! This fall, we have been experimenting with some new ideas, one of which we are bringing to market starting November 21: shredded mozzarella! We took our amazingly delicious, hand-stretched, fresh mozzarella and grated it for all the pizza lovers out there (it goes with more than just pizza! We like to eat it by the handful!). Same great taste, except now it’s ready to jump right into your favorite dish. It freezes well, and keeps just fine in the fridge for a couple of weeks (not that it ever lasts that long!). Don’t worry, we’ll still have our mozzarella in the traditional shape. We’d really love to know what you think, so swing by and give it a test run! Stay warm! 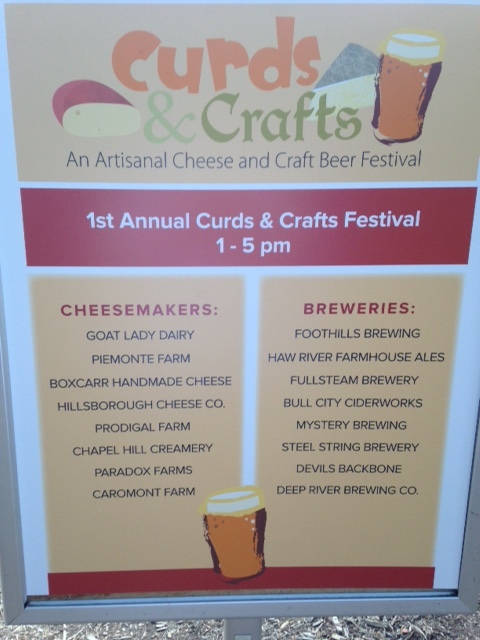 Join Hillsborough Cheese Company and several other area cheese producers today at the Curds and Crafts Festival on the Weaver Street Market – Carrboro – location! Lots of delicious cheeses to taste, as well as a variety of hand-crafted artisanal beers from local breweries. Hillsborough Cheese is featuring our amazing Bloomin’ Sweet Ash, as well as a few other yummy delights. Look forward to seeing you there! Bloomin’ Sweet Ash (and others) coming soon! After a long winter break, our goat milk is flowing again! Look for more goat cheeses at market in the coming weeks. 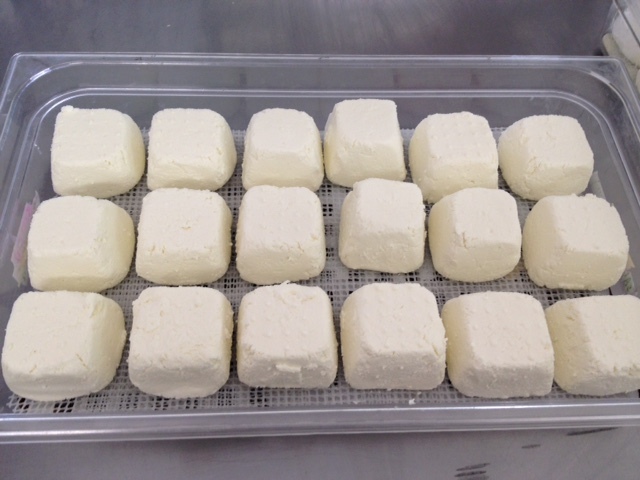 We have a new cow/goat Feta we are excited to share, as well as the return of our versions of goat Gouda and Manchego. Most of all, we are super excited about the return of our insanely delicious Bloomin’ Sweet Ash! We got a few batches started a couple of weeks ago and hope to have it available in abundance for the rest of the year, starting in the next week or so. If you haven’t tasted it yet, you are truly missing something special! Come visit us at market for a sample! Here are a couple of photos of just molded Sweet Ash, awaiting the ashing stage, then the growth of their white, bloomy rind. YUM!! 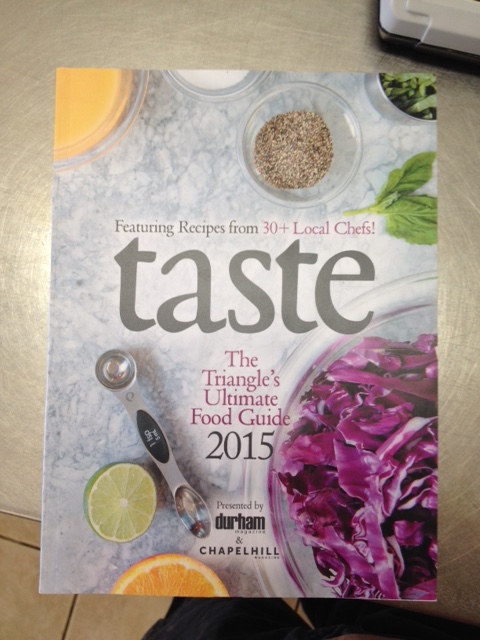 Hillsborough Cheese Company is honored to have our Bloomin’ Sweet Ash mentioned in the Taste 2015 – The Triangle’s Ultimate Food Guide, as a must have local grocery item. To those not familiar with Taste 2015, it is a “celebration of food”, involving many of the Triangle’s best and brightest chefs, brewers, farmers, food artisans and purveyors of the bounty of amazing foods we are so lucky to have. There were a series of “foodie” events in the Triangle (and maybe more to come) over the past few months. Hopefully some of you were able to check a few of them out! Grab one of the Food Guides, too; it has some amazing recipes from over two dozen local chefs. 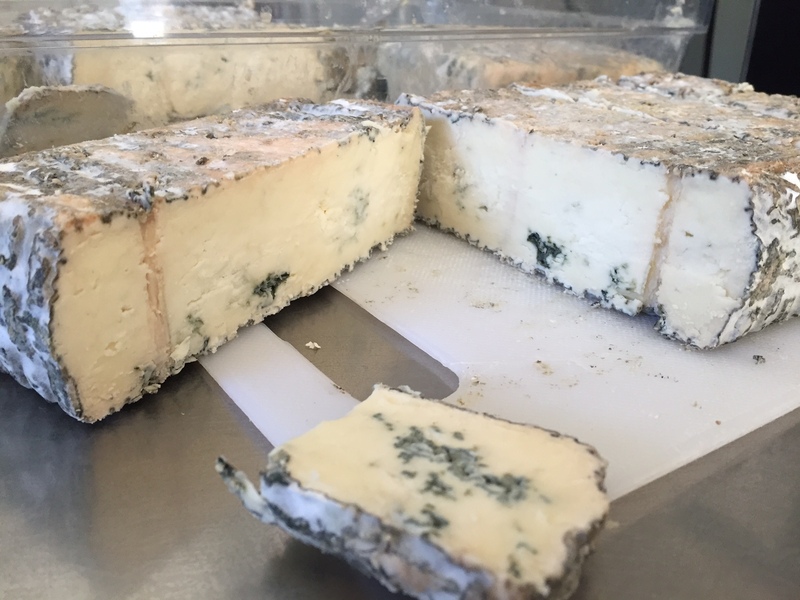 Check out our posts, learn more about us and our cheeses, and of course, please contact us with any questions, comments or other inquiries. Interested in HCC products in your shop or on your menu? We'd love to hear from you! 2012, 2013 and 2014 Best of the Triangle Finalist! 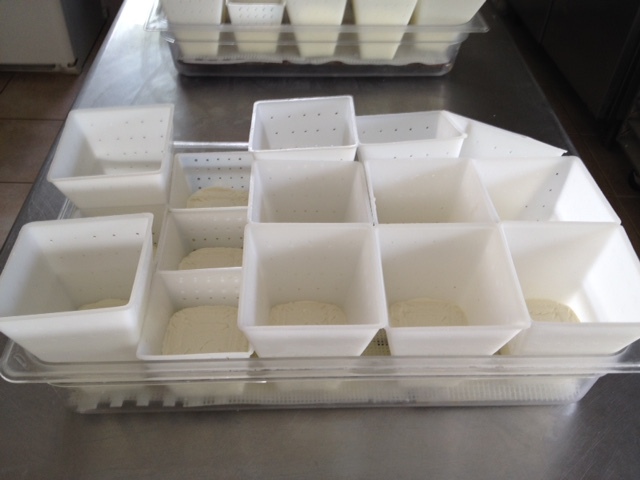 A Peek Inside the Cheese Kitchen! Making Cheese from Independent Weekly on Vimeo. Hillsborough Cheese Company at your next event! We love to support our community and we are often available for special events like wine tastings, agricultural expos, and fundraisers. Please e-mail us at hillsboroughcheeseco@gmail.com with information on your event. Be sure to include date, event format, expected number of attendees, and any other pertinent information, and we'll get back to you as soon as possible.